Ships tomorrow if you order in the next 16 hours 28 minutes. For many people, it can be difficult to get the daily recommended intake of calcium, and magnesium is one of the top mineral deficiencies in the human body. For a quick, easy, and delicious way to increase your daily intake of both of these essential minerals, Pharmax has the perfect option. 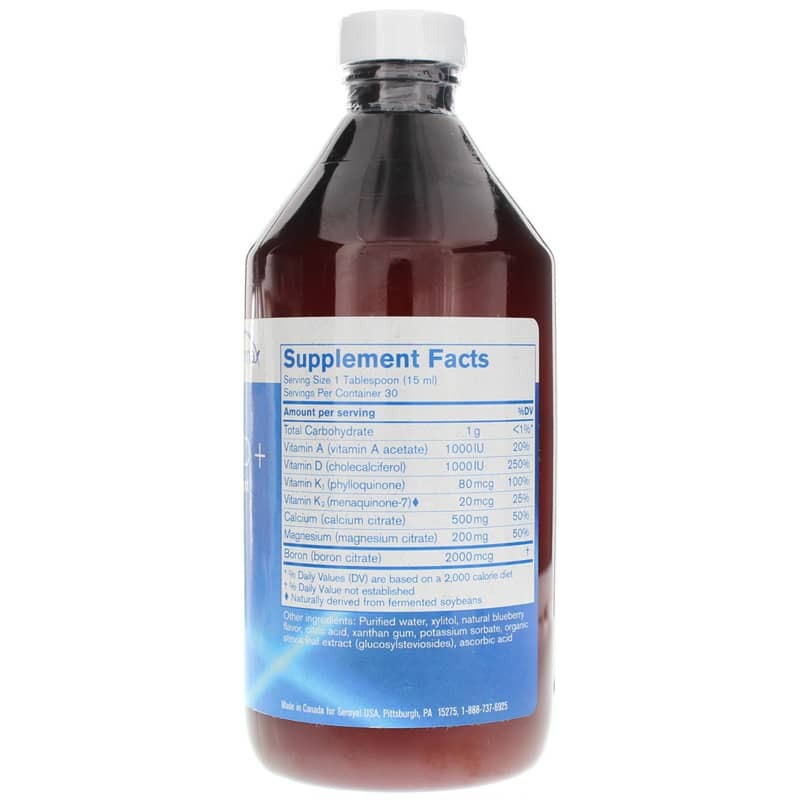 Cal:Mag Berry Liquid is a liquid supplement that delivers magnesium and calcium, but also vital dosages of vitamins A, D, and K that promote optimally healthy bones and teeth. Keep your teeth and bones healthy and strong. 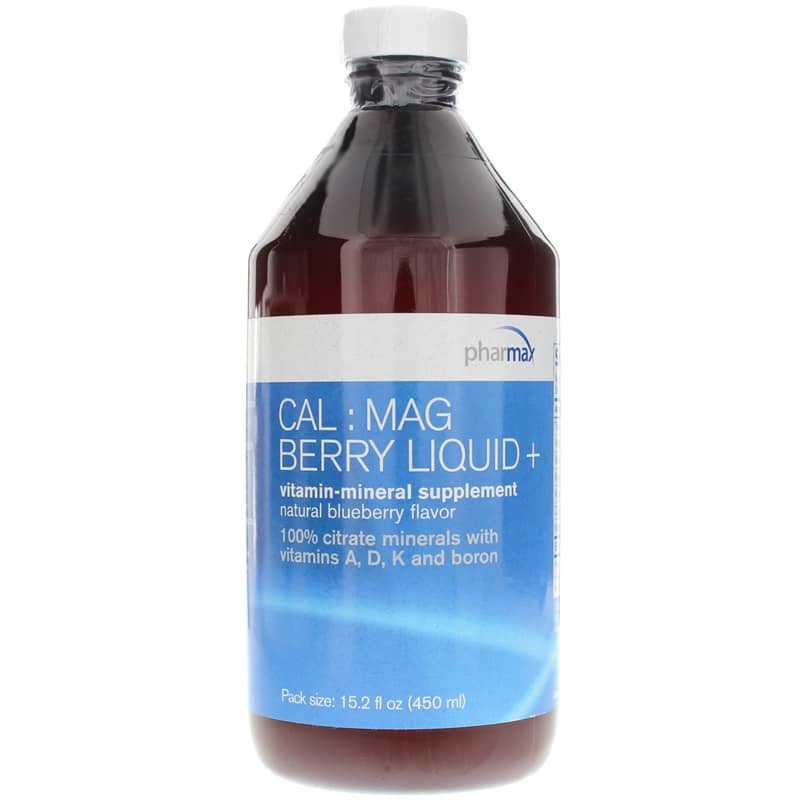 When you choose Cal:Mag Berry Liquid from Pharmax, you choose a great-tasting natural pathway to optimal health and wellness. Try it today! 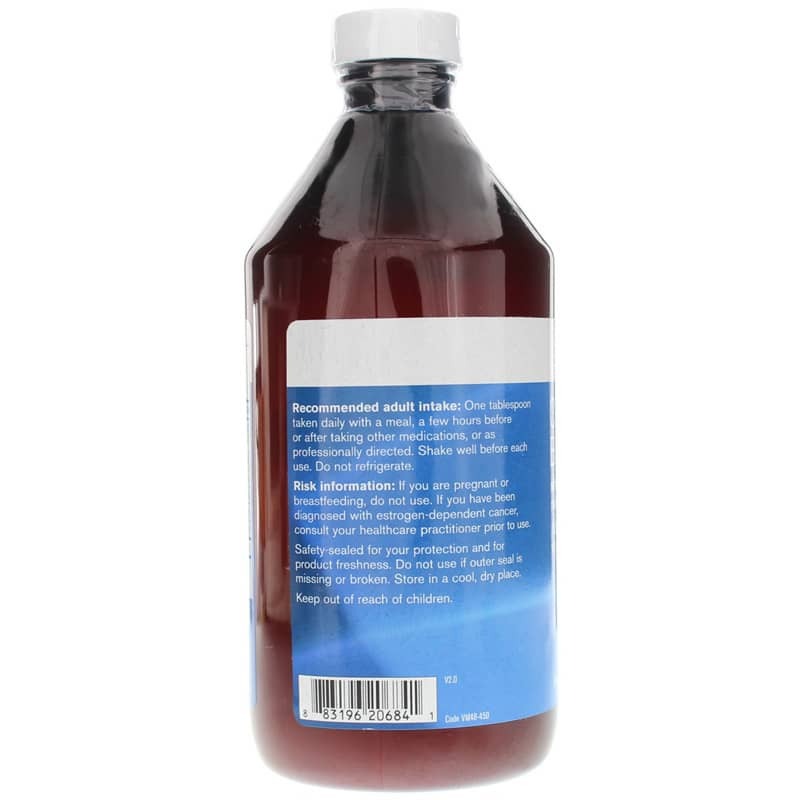 Other Ingredients: Purified water, xylitol, natural blueberry flavor, citric acid, xanthan gum, potassium sorbate, organic stevia leaf extract (glucosylstevosides), ascorbic acid. Adults: One tablespoon taken once daily with a meal, a few hours before or after taking other medications, or as professionally directed. Shake well before each use. Do not refrigerate. If you are pregnant or breastfeeding, do not use. If you are taking blood thinners, or if you have been diagnosed with estrogen-dependent cancer, consult your healthcare practitioner prior to use. Safety-sealed for your protection and for product freshness. Do not use if outer seal is missing or broken. Store in a cool, dry place. Keep out of reach of children.